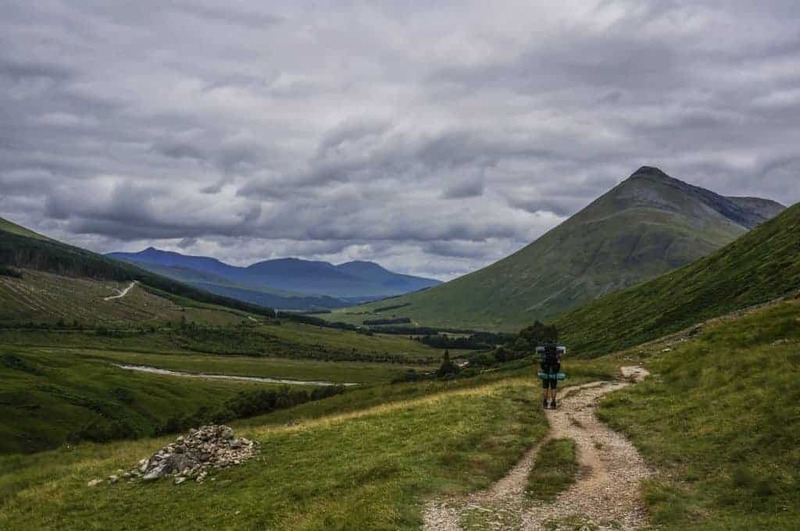 When it comes to having your best possible West Highland Way experience, there are some things that are out of your control (weather, midges, crowds, travel delays), but there are a few key things you can control that will make all the difference. Perhaps even more important than planning out the logistics, knowing how to navigate, and packing the right gear, is making sure you are prepared both physically and mentally for this major undertaking. Because of its relatively low elevation and minimal technicality, the WHW is a very approachable long-distance trek for the casual hiker. That being said, it’s still a serious feat of endurance that will push you to new limits. You will enjoy your trip infinitely more if you train ahead of time. This is even more true if you plan on camping (and carrying the heavier backpack that goes with it). If you don’t know where to start when it comes to training, don’t worry- we’ve got you covered. Read on for straightforward advice on how to feel your best and enjoy your West Highland Way experience to the fullest. Views from the top of the Devil’s Staircase. Obviously, everyone will approach the WHW with varying levels of fitness, past injuries, and overall health needs. You’ll know your individual situation best, but you should generally focus on building your aerobic endurance in the months leading up to your trip. While most of your days on the Way won’t be particularly steep, they will be quite long. On our 8-day trek we averaged around 12 miles (19.25 km) per day, with our longest day being 15 miles (24 km). These distances are no joke, especially when carrying a heavy pack and hiking day after day with little rest in between. For this part of the training, if you’re already a runner/walker/cyclist/etc, just keep doing your thing! If you don’t regularly do any sort of “cardio” exercise, or you mainly focus on yoga and strength training, start trying to incorporate longer bouts of walking or running into your regular routine in order to build an endurance base. This will lay your fitness foundation for more challenging training in the future. Relative to other popular long-distance hikes, the topography of the West Highland Way is on the gentler side. You won’t be required to traverse over high mountain passes each day or spend hours navigating insanely steep ascents and descents. Don’t let these facts fool you into thinking this hike will be easy though- it won’t be! You’ll still be covering long stretches of undulating terrain with a variety of underfoot conditions. In order to feel great throughout your trip and avoid injury and burnout, you’ll need the endurance base you started building in the previous training phase, plus ample leg strength. Ideally, at this point in your training you should increase the frequency and intensity of your hiking. Your main goal is to build your aerobic endurance and train your leg muscles for long-distance hiking. If you can’t hit the trails, you can achieve similar results by doing anything that involves incline; bike uphill, set a treadmill to high incline, or spend some time on the step machine at your gym. Heck, you could even walk the stairs at the local high school stadium if you wanted to. Additionally, try to incorporate a leg strengthening routine into your weekly training. Everyone’s fitness goals are different, but we generally recommend completing the following short workout 2-3 times per week to build Highland-ready legs: 10 goblet squats (with medium weight), 10 lunges on each leg (add weight or jumps to increase challenge), and 10 step-ups on each leg (weight optional). Complete three sets of each exercise. Shoreline walking on Day Two. Remember all of that brand new gear sitting in your closet? Now is the time to break it in! In the eight weeks or so before your trip, try get in as many longer hikes (or walks) with your gear as possible. Think of it as a “dress rehearsal” for your trek. The benefits of breaking in your gear at this point are twofold. First, you’ll be able to test your boots, backpack, socks, and so on to ensure that they fit well during longer hikes. Second, you’ll begin training your body to hike while wearing a heavy backpack. If you’re new to backpacking, you’ll be surprised by how much more challenging it is to hike with the extra weight. For me, the biggest adjustment was learning to deal with the extra strain on my hips and knees when hiking downhill. Even if you’ve been strength training, chances are you’ll be using new muscles when hiking with a backpack. The best way to condition your body? Hiking as much as possible with that heavy backpack! You might be wondering how to add weight to your pack without completely packing for your trip. Our advice? Look around your home and throw anything-literally anything- heavy into your bag. When we were training, we threw five-pound weights, jars of oats, bottles of water, blankets, and textbooks into our bags. Then we headed over to our local trail. Did some fellow hikers look at us like we were crazy with our giant backpacks? Yes. But did we strike up some awesome conversations AND get our bodies in shape for the WHW in the process? You better believe it. Reminder: During this training phase, you should keep up your aerobic and strength training from the previous sections! This stage in your training is awesome because it requires you to take a vacation (you’re welcome). If at all possible, try to take a 1-2 night backpacking trip in your local woods. If you aren’t planning on camping along the Way, you don’t need to take an overnight trip, but you should still try to fit in two back-to-back days of long, hard hiking. This important step allows you to try out different ways of packing your backpack for maximum fit and comfort, practice setting up camp, and get your body used to hiking for consecutive days in a row. It will also give you the chance to see what items you packed that you don’t need, and what you may have forgotten. Old drover roads can make for rocky underfoot conditions. There are many sections of the WHW that present walkers with less than desirable “underfoot conditions.” When I read that term in my guidebook before starting the trek, I kept thinking to myself, What does that even mean? Well, let me enlighten you. It means it’s going to be really, really rocky. Like, walking for several miles along an old drover road that seems to be entirely comprised of baseball-sized stones kind of rocky. We didn’t find this troublesome to the point where a specific training regimen was warranted, but it is worth mentioning for a few reasons. First, even though the trail might be pretty flat, challenging underfoot conditions can mean that you are expending extra energy (both mental and physical) and using additional leg and core muscles to navigate the trail. This is where your training will really pay off! You might also consider taking an added break and/or slowing your pace on these sections to prevent fatigue. Finally, make sure you have trekking poles and sturdy boots too minimize the chance of twisting an ankle or straining a muscle. 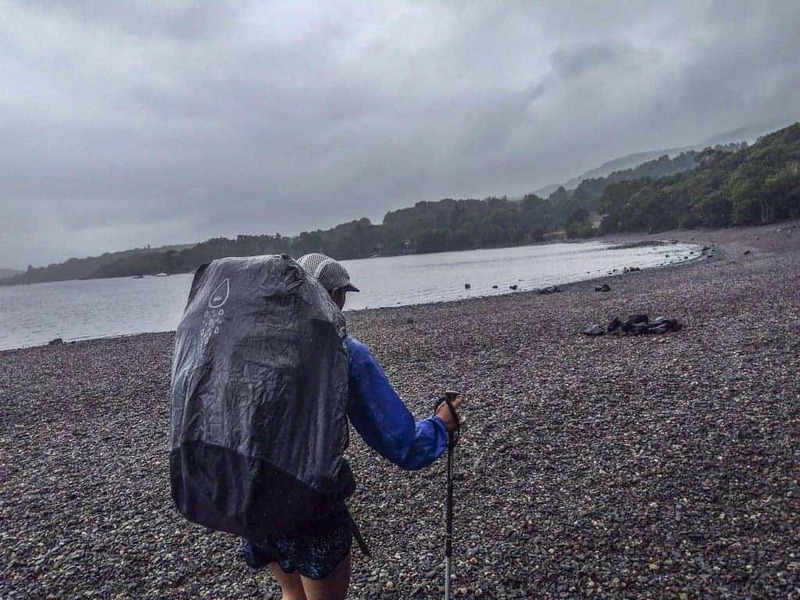 This article mainly discussed how to train your body for the West Highland Way, but of equal (if not greater) importance is the mental side of things. Numerous research studies have demonstrated that we can train our brains to improve mental toughness. It is inevitable that you will face challenges during your hike from fatigue, long days, discomfort, poor weather, or swarms of midges. Hopefully the long training hikes you took in preparation for the WHW will have helped you to build the confidence you need to remind yourself that you can push through the less-than-wonderful moments and savor the amazing experience you’re having. If you focus on building your mental endurance prior to your trek, it will not only pay off on the hike, but also in your life off the trail. Chafing and Blisters, Oh My! So far we’ve talked about training your body and your mind, but unfortunately it’s a little harder to train your skin for the long miles you’ll be covering on the WHW. However, a little advance preparation can go a long way towards making your West Highland Way experience much more enjoyable. It’s amazing how even a small blister or a little bit of nasty chafing can derail a beautiful day of hiking! This is the most common ailment we see fellow hikers struggle with when we’re out on the trail. 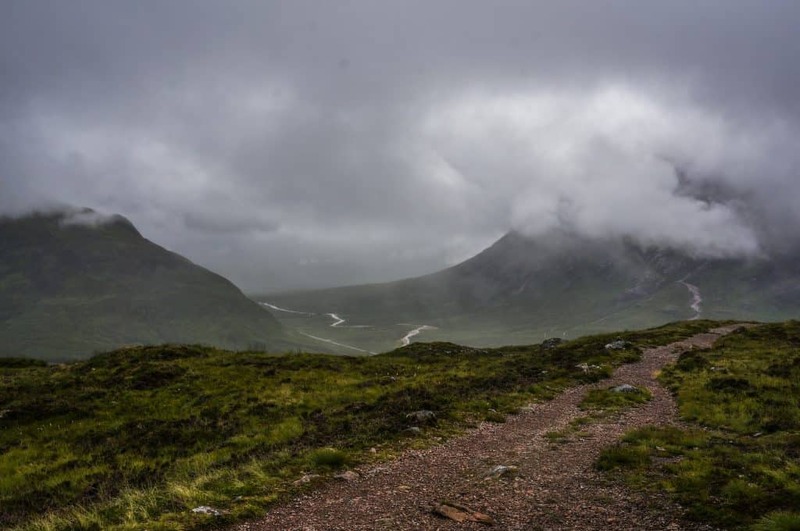 Due to the variable and moist conditions (think pouring rain one day and hot and sunny the next) coupled with those lovely underfoot conditions, the West Highland Way presents a huge risk for chafing and blisters. Don’t let those pesky buggers ruin your trek! The best way to prevent blisters is to break in your boots in advance. Make sure to use the same socks on your training hikes as you plan to use on the WHW. Good quality socks and sock liners can really make a difference. Additionally, if you are especially blister-prone, more breathable trail runners are worth looking into. In terms of chafing, pay attention to any hot spots that arise when you’re training. Try to train in a variety of temperatures, weather conditions, and clothing combinations to anticipate any potential issues. Products like BodyGlide can help prevent chafing and blisters, too. Finally, make sure to bring some good-quality blister pads in case all else fails! If possible, consider adding an extra day or cutting out a segment to reduce the average distance you’ll need to cover each day. Consider using a luggage transfer service to eliminate the extra demands of carrying your heavy pack. Plan for a rest day midway through your hike. Bridge of Orchy, Tyndrum, and Glencoe Village all make great options. See our West Highland Way Logistics article for more information about luggage transfer and rest days. Enlist a few friends or family members to come with you and rent a car. You can alternate between hiking and driving the support vehicle to customize the amount of time spent on your feet. Plus, you’ll still be able to enjoy much of the same spectacular Highland scenery from the road. Move, preferably uphill and with weight on your back, as much as possible. Do this and you will be able to enjoy every moment of your incredible trip so much more. Plus, the time and effort you spend working towards your goal will make the real thing that much sweeter. I can’t stress enough how glad we were that we’d prepared for the challenge of a thru-hike like the WHW, and I hope our experience can help you have your best possible trip. Enjoyed reading our training tips and ready to keep planning your own West Highland Way adventure? 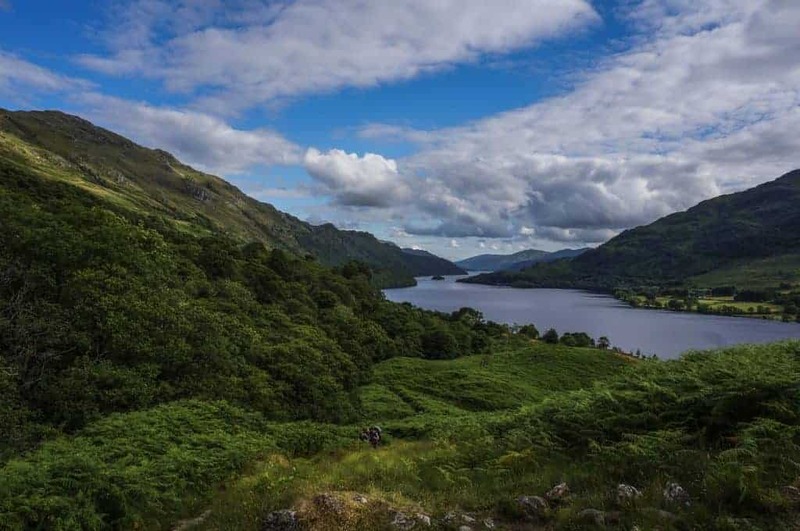 Be sure to check out our entire series on the West Highland Way and learn everything you’ll need to know to prepare for your trip! 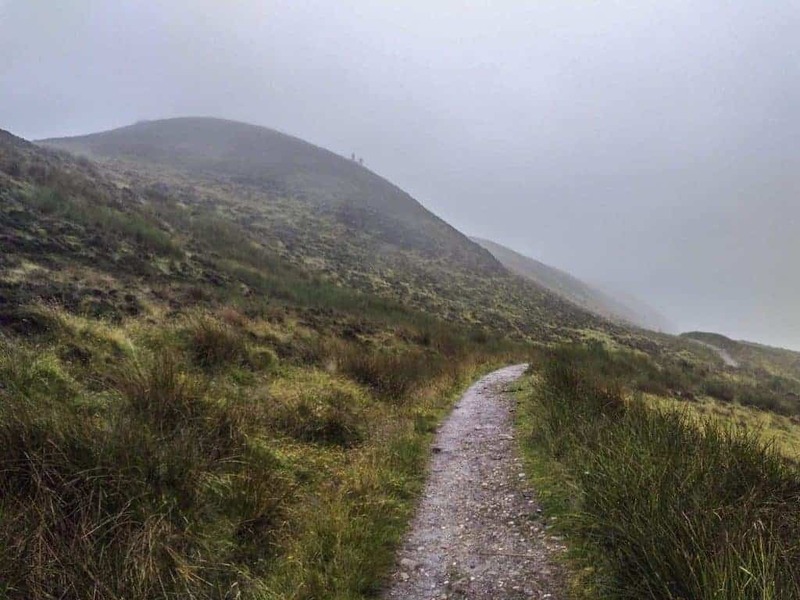 10 Essentials for the West Highland Way – The quick and dirty basics!